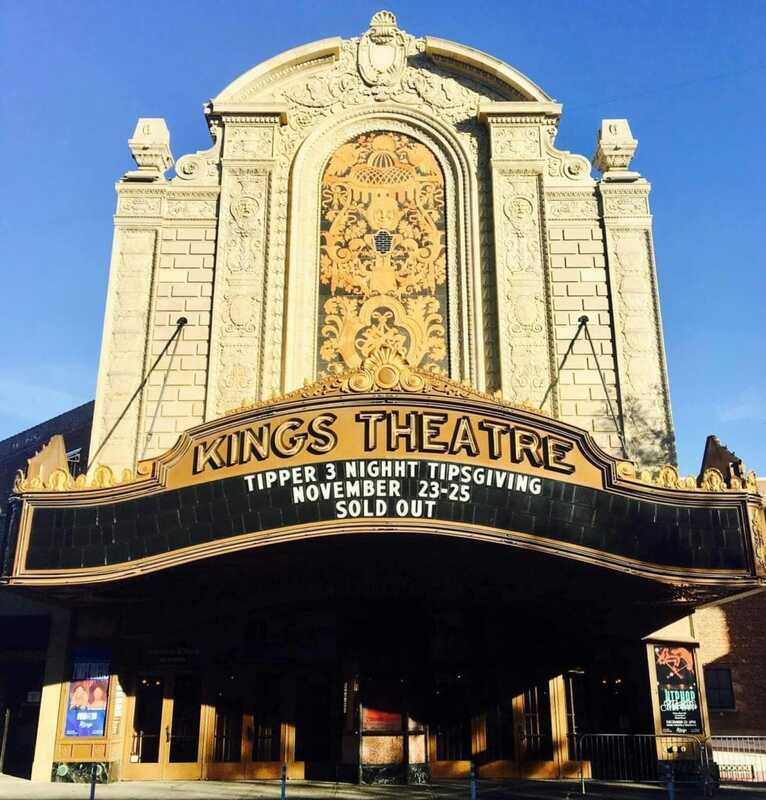 The Kings Theatre in Brooklyn, New York, where the author's son Skyler performed his electronic music during music producer Dave Tipper's Tipsgiving Weekend. When I gave birth to my son Skyler 28 years ago, I had no idea that I would become Jade Cicada’s mother. Jade Cicada is his producer name in the world of electronic music in which he is a rising star. I knew he would have a career in music as did his father, my late husband, Lowell. Lowell was a choral director, music educator, and actor in musical theater. In addition, Lowell taught students vocal music at home playing his black baby grand piano with mastery. He died at the age of fifty-three from pancreatic cancer. Sky was 10 years old at the time and had already been studying classical clarinet for years and winning competitions for all-county and all-state bands. After Lowell died, one of my greatest concerns was whether I was capable of raising a son on my own without his father’s guidance, a son whose musical gifts were burgeoning. It wasn’t until the two of us moved from Westchester, New York to the Berkshires in 2003 that Sky was exposed to electronic music. He auditioned for Berklee College of Music in Boston playing Mozart’s Clarinet Concerto in A major, got in, and graduated with a major in electronic music and design. He left behind classical clarinet and plunged into electronic music, his true calling. After graduation, he returned home, converted the guest room into a recording studio, and disappeared within those walls, door closed. I had no idea what was going to happen career-wise and I was a bit panicky. What’s he going to do for a living? Will he ever be able to move out and live on his own? I underestimated his drive and single-mindedness. I did not, however, underestimate his talent and neither did Dave Tipper, the electronic music producer, 15 years his senior, whom Sky just about worshipped as an artist. Tipper, as he is known, gave Sky his first big break and invited him to perform in April 2016 at the Suwannee, Tipper & Friends festival in Live Oak, Florida. What happened after Sky’s set felt like he became an overnight sensation. He went from being an obscure producer to being exposed to a large audience; and, they loved his music. I stopped worrying: he was on his way and his success had started. He moved to Denver in March of 2018. That was also the week I was diagnosed with a rare and progressive eye disease called pre-retinal fibrosis. In other words, scar tissue had formed on the retinas of both my eyes. The left eye is worse and it also has glaucoma. I believe the fibrosis was the result of chronic Lyme disease that I had seven years earlier. My eyes see two entirely different images which makes the world-at-large look wavy, wonky, and often doubled. I am visually impaired and this has put quite the damper on my lifestyle. Sky’s move and the reality of the potential for me to go blind was crushing those first weeks and months. As happy as I was that he moved to where he wanted to be, I missed him. Funny how that works, there were the early days when I thought he would never move out and then when he does, I am devastated. The first electronic music that I ever heard and loved was his and I have since expanded my repertoire of favorite producers. I am 64 years old and I still love to dance, especially to electronic music. 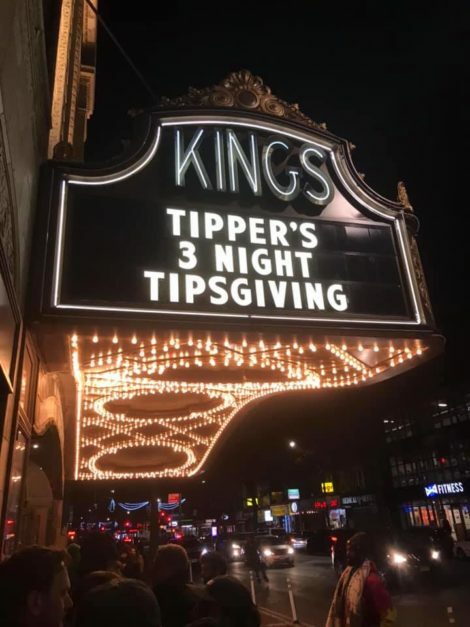 So, imagine my excitement when I was invited to be at “Tipsgiving Weekend” at The Kings Theatre on Flatbush Avenue in Brooklyn, New York. 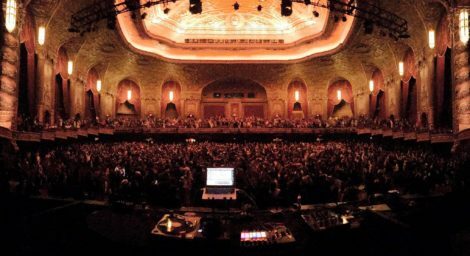 Tipper brought together other brilliant electronic music producers and visual artists to perform for three sold-out evenings. Sky was to perform the first night, November 23, 2018. I was thrilled to be going with him from the Berkshires to Brooklyn, where I am originally from. I was also extremely anxious about how I would handle making my way with my distorted vision. Just shopping in a grocery store is a challenge let alone streets and theaters full of people. At Grand Central Station, we got an Uber ride to our accommodations in Brooklyn where we were planning to stay for the weekend with some of the others involved with “Tipsgiving.” The activity in the station and outside was such a stark contrast to the sedate environment in the Berkshires. People, kids, strollers, charging in all directions. And with my double-vision, I saw twice as many! Sky took charge of getting us to Brooklyn, which was just fine with me. Let him be my eyes. Once at the place (not a hotel or an Air B&B — I didn’t know what it was so I call it “the place”), we sized up the quality of the rooms and we were both appalled. Sky more so than I. I was overwhelmed with having made it down to my birth borough, especially given my vision, and too beside myself that I was going to hear both Sky and Tipper perform, to be as disturbed as Sky. The first thing I realized was that I couldn’t find my cellphone. I kept rifling through my pocketbook. I got so frantic that I grabbed what I thought was the key card to the room and knocked on Sky’s room, slamming the door to my room behind me. I told him that I had lost my phone and he immediately tracked down the Uber driver by phone. No phone. I wanted Sky to come to my room and call my phone but when I tried to get back into the room, I realized that I did not take the key card but instead the manager’s business card. I found my way to her office to ask her to let me in. I then went outside and using a flashlight that I always carry on me, searched the street and sidewalk. No phone. Back in my room, Sky called my phone and it rang, in my room, because it was in there all the time, being charged! Was it hunger or excitement or senility that made me forget what I had done within minutes of my arrival? I wondered if Sky thought I was losing my mind. And, I felt badly that my frantic antics might have added to the stress he was already under. “Tipsgiving Weekend” was a big deal for everyone involved but I also knew that whatever chaos I contributed to pre-performance would be remediated by Will’s presence who would be arriving from Texas shortly. While the cell phone panic was going on, Sky was canceling our reservation and trying to get our money back. First of all, sleeping on the floor would have been just as uncomfortable as the bed in Sky’s room; it seemed to be missing a mattress. The inner chain locks were useless. None of the TV remotes worked. The walls were thin and in another apartment on that floor a family was fighting in Korean. 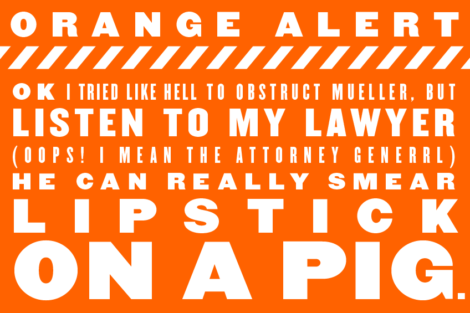 There were other irregularities to complain about, which we did, and then Will (a.k.a. Schmoop) appeared, Sky’s young friend and collaborator. He had arrived with the others from La Guardia Airport in a white van that was rented for the occasion. He was wearing a black Jade Cicada T-shirt under a lightweight jacket. He was not dressed for the weather which was pretty damn chilly. Sky also did not bring a jacket to Brooklyn. These musicians! I didn’t bother to unpack my belongings before heading out with everyone to Kings Theatre since Sky had already made new reservations starting Saturday night at the first hotel we had booked: The Box Hotel. We had come such a long way, mother and son. There was a time in Sky’s youth when he strongly discouraged my presence among his friends. He would tell me that I was weird and I asked too many questions. I made his friends uncomfortable, he would tell me. I thought some of them actually welcomed my attention and questions. With this history with him it was even more of a satisfaction that he was fine with introducing me to some of the most important people in his life. We arrived at Kings Theatre where thousands of people were snaking around the building, waiting for the doors to open. There was a hush in the van. It was a visual testimonial to the enthusiastic response to Tipper’s calling us all out for this weekend. I think someone said, “Tipper, you gone done it,” but I take liberties with this. All I know is that all of us were duly impressed. I believe it was Sky who pleaded, “There is a side door?” Garrett maneuvered the van through a gated area, the theater’s backstage entrance. All I could think of was dinner; I was starving and the first set would begin in an hour. While heading to the back stage, I reminded Sky and Will about my vision impairment. There were moments as we found our way to the stage that I latched onto Will’s skinny arm. I increasingly felt that everyone will have my back and the entire night of amazing music and visuals would not be eclipsed by the ambiguity and distortion of my visual field. We settled in the Green Rooms awaiting catered food. People were milling about. Detox Unit, who had been touring with Sky, was at his computer going over his set. I had been nibbling on a chocolate edible from back home in measured bites. I was modulating my altered state carefully and with finesse given vision impairment and for Sky’s sake. God forbid that I got so high and said something stupid or embarrassing. While we chowed down delicious food, Matt appeared to say hello. We hugged, he and Sky hugged, and then they began talking in tongues which is to say, in a language foreign to me but spoken by musicians and sound people. I found this to be hilarious. I also could not believe that here I was in the Kings Theatre, once a dumpy movie house where I saw a movie on occasion as a child; and, here we were, Sky about to perform, now communicating with his second cousin once removed in a language only they could understand. I stood up to get closer to Matt’s face because from where I was seated, his eyes drooped into his cheeks, his nose melted into his upper lip, and his lips merged with his chin (due to the fibrosis, not the edible). I was inches away from his face and I recognized his grandfather and even my grandfather, his great-grandfather. I found this to be hilarious too. I was beside myself with being part of this scene and having the opportunity to meet some of the people in Sky’s music circle. As it turned out, Detox Unit, Joe, grew-up in Scarsdale, New York, and was in the first grade when Lowell died. I wondered if his parents had heard of him. Many people in the Scarsdale community knew Lowell as the highly regarded and beloved high school music and theatre director. They also knew about his illness and dying time. One way in which they knew was from reading the letters I wrote and published in The Scarsdale Inquirer. I wanted to keep the community abreast of what was going on and how we were handling things. Together, Lowell and I became teachers of dying and death because not many people in our age group living in affluent Westchester had experienced a terminal diagnosis. 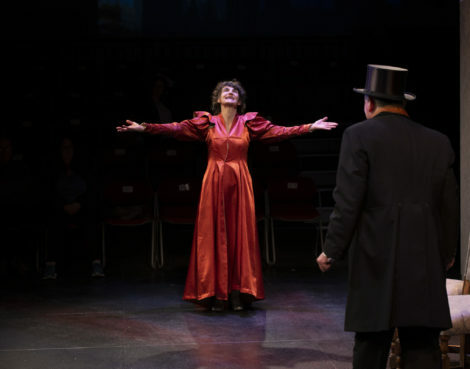 It was to me a sign from the great beyond that Sky would end up touring in 2018 with a producer from Scarsdale, where Lowell taught and Sky went to school. When it was close to 9 o’clock, time for the first set, Sky, always forthright, wanted to know where I planned to be all night because he would be off with Will, and then to perform at 11 p.m. At first I thought I would want to be in the “pit” which is the open space in front of the stage where people dance. Behind that are the rows of seats where people would, of course, also dance. Matt led me down to the pit after introducing me to the usher who guarded access to the stage telling her that I may need help finding my way in the dark. She graciously offered her assistance. When standing in the pit in front of one of the massive speakers, it became clear that my ears could blow out. As it is, I wear hearing aids, “Like probably no one else who will be in the audience,” I thought. Matt said he would get me earplugs and disappeared to get them. Veler (Sky, Tipper, and Detox Unit’s manager) found me standing in the pit and wanted to introduce me to people with whom I could hang when I needed to get away from the crowd. I followed him to the back of the theater where the engineers were situated. He introduced me and then took off. Everyone was looking out for me. Such a beautiful thing. Part 2 of ‘Mother and Fan’ will appear tomorrow. 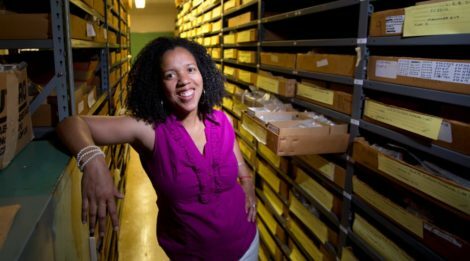 Deborah, I am loving this story about you and Skylar. Looking forward to the second installment! I meant Lauren not Laureen!